For our latest exhibition Daylight Come… Picturing Dunkley’s Jamaica (May 27 – July 29 2018) the National Gallery of Jamaica introduces it’s first e-catalogue. E-Catalogues will be created for select exhibitions and, while not as extensive as our print catalogues, will provide notable insight and information on their respective exhibitions, while being easily accessible to the general public. The exhibition Daylight Come… Picturing Dunkley’s Jamaica was curated by Assistant Curator Monique Barnett-Davidson and is inspired by the intuitive artist John Dunkley. 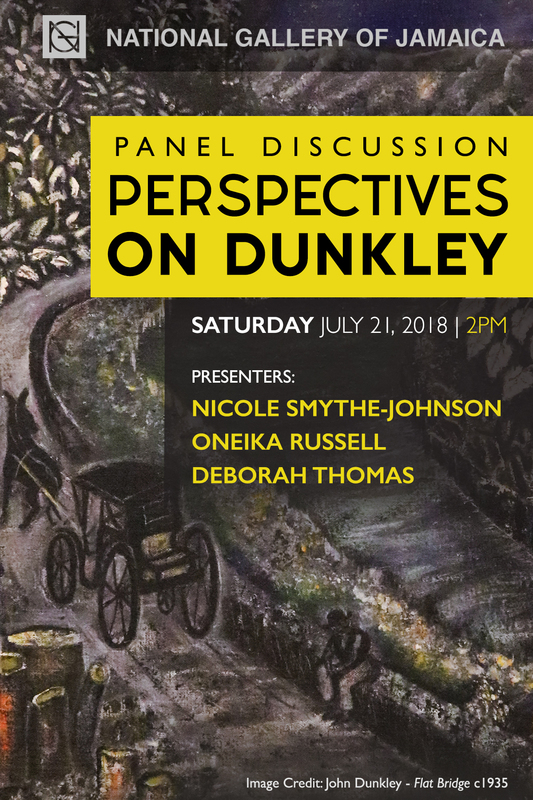 It is a complement to the National Gallery of Jamaica’s staging of the John Dunkley: Neither Day nor Night Exhibition, and looks at the context and times in which Dunkley was living. 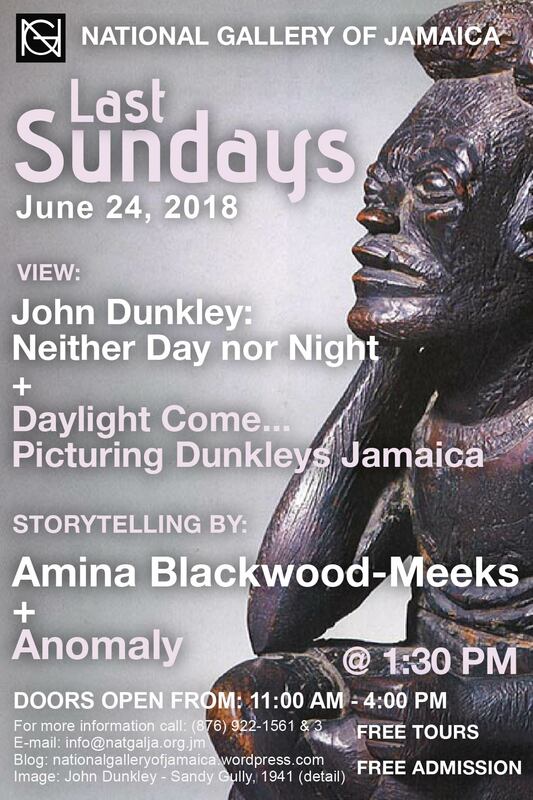 The National Gallery of Jamaica’s Last Sundays programming for June 24th will feature storytelling by Amina Blackwood-Meeks and the visual and performing arts group Anomaly. The exhibitions John Dunkley: Neither Day nor Night and Daylight Come: Picturing Dunkley’s Jamaica will also be on view. 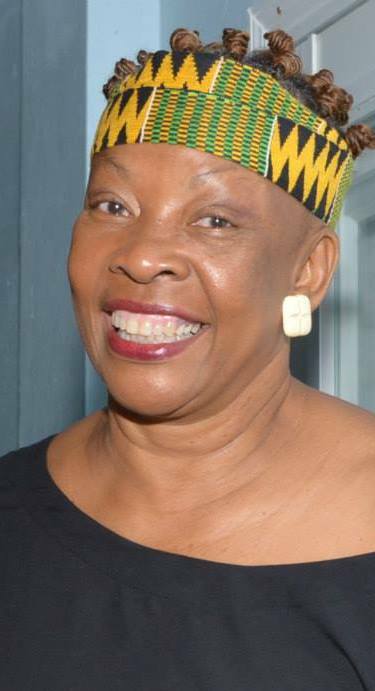 Both exhibitions are filled with stories of Jamaican histories which are rich in their potential to inspire storytellers and on this Last Sunday we welcome writer, director, performer, and custodian of the oral tradition, Dr. Amina Blackwood-Meeks. Widely acclaimed for her contribution to the renaissance of the traditional Caribbean storytelling art form, Blackwood-Meeks communicates both traditional and modern tales and her “…deep, rich, dramatic and deliberate voice brings stories from the heads of the ancestors, connecting ancient wit and wisdom with modern needs.” Her performance on Sunday has been inspired by closely interfacing with the current exhibitions and is guaranteed to delight children and adults alike. See her website at http://aminablackwoodmeeks.com/. Originally exhibited at the Perez Art Museum Miami (PAMM) in 2017 and considered to be one of the most exciting shows that year in the USA, John Dunkley Neither Day nor Night showcases a once in a lifetime compilation of the work of renowned Jamaican Intuitive artist, John Dunkley (1891-1947). Born in Savanna-la-Mar, Dunkley was of the generation of Jamaicans who travelled to Panama, Costa Rica and Cuba at the beginning of the 20th Century seeking opportunities for work and advancement. His moody paintings and whimsical sculptures reflect his life, experiences and views on Jamaica’s fledgling nationalist movement. The National Gallery’s version of the exhibition, which opened on April 29 and closes on July 29, contains important new work not shown at PAMM. Exploring themes of tourism, immigration and the emergence of cultural nationalism during Dunkley’s lifetime; Daylight Come…Picturing Dunkley’s Jamaica acts as a complement to John Dunkley: Neither Day nor Night. The exhibition contains rare photographs, artefacts and film footage from the turn of the century leading into the Jamaican Nationalist era and provides further context to Dunkley’s creative output. It explores the work of his contemporaries David Miller Snr and David Miller Jnr, Carl Abrahams, Albert Huie, David Pottinger, Ralph Campbell and Henry Daley among others; and shows the move from ethnographic and oftentimes disparaging depictions of Jamaicans, to the attempts at social and cultural empowerment by the aforementioned artists and others of the Jamaican Cultural Nationalist movement of the early 1900s. This exhibition, which opened on May 27, will also be on view until July 29. Doors will open to the public from 11:00 am to 4:00 pm. 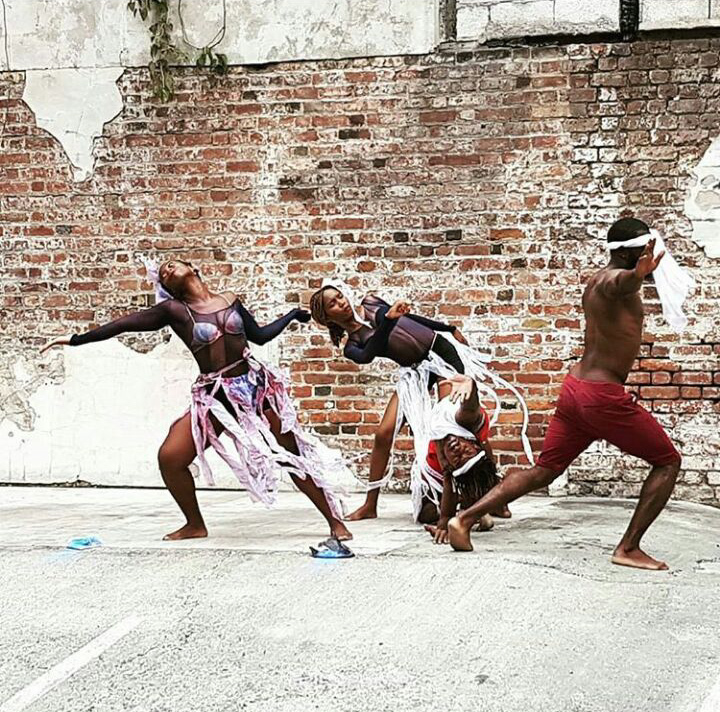 Storytelling by Amina Blackwood-Meeks will begin at 1:30 p.m followed by Anomaly’s performance. As is customary on Last Sundays, admission and guided tours are free, but contributions to the Donations Box located in the Coffee Shop are appreciated. These donations help to fund our Last Sunday’s events. The National Gallery’s Gift Shop and Coffee Shop will also be open for business.